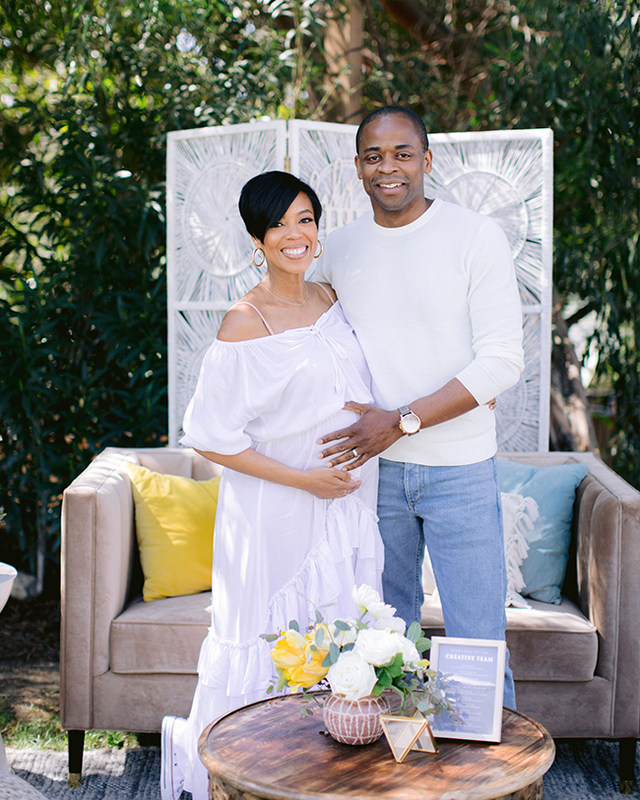 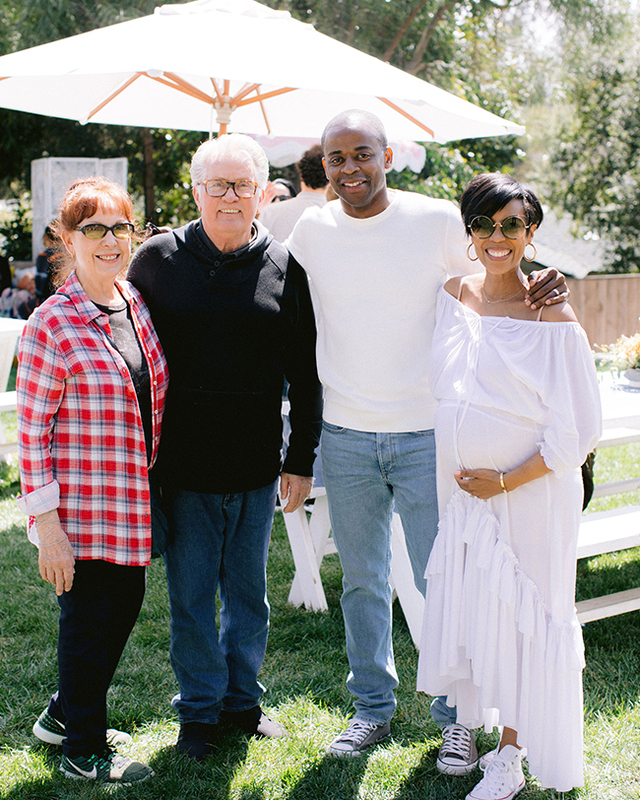 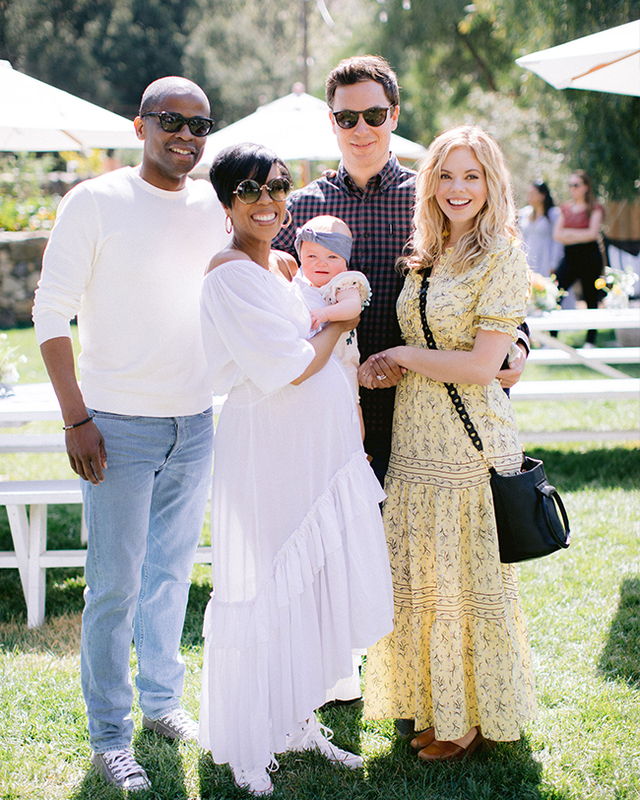 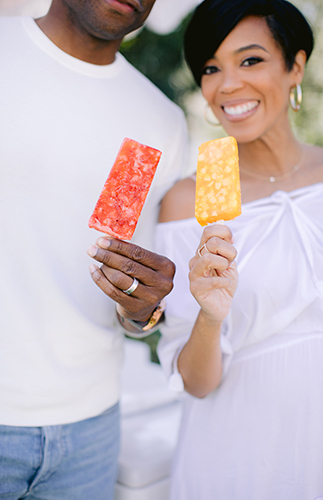 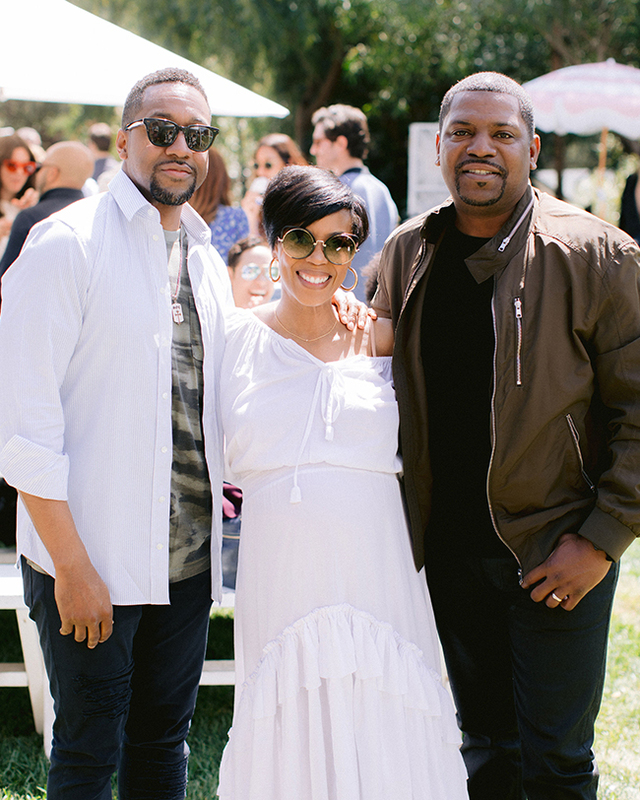 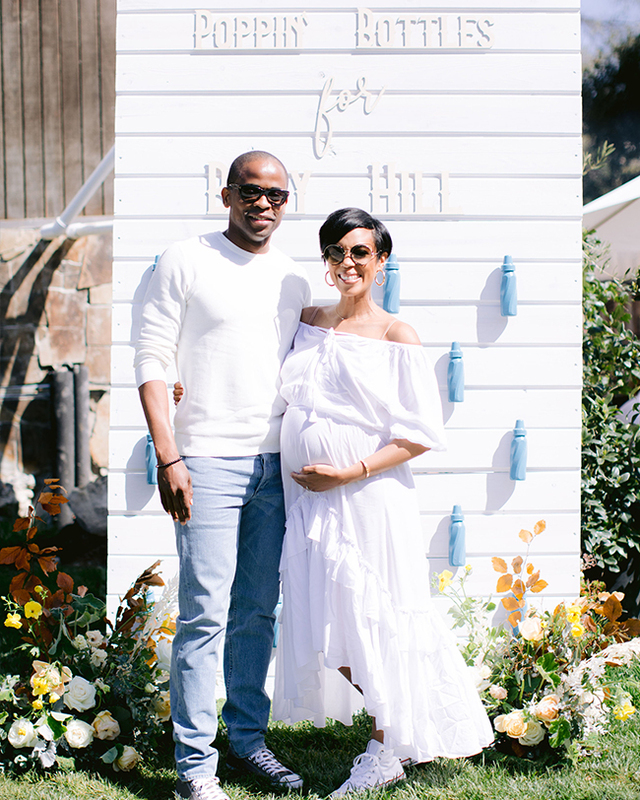 Jazmyn & Dule wanted to incorporate Baby, BBQ & Booze into their day since it was going to be a co-ed shower with family and friends. 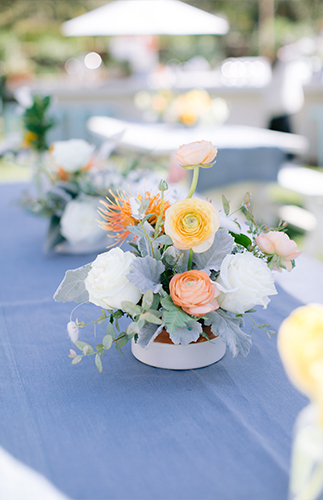 We wanted to keep the color palette neutral with shades of blue, and pops of yellow and cream in the florals by Coco Rose Design. 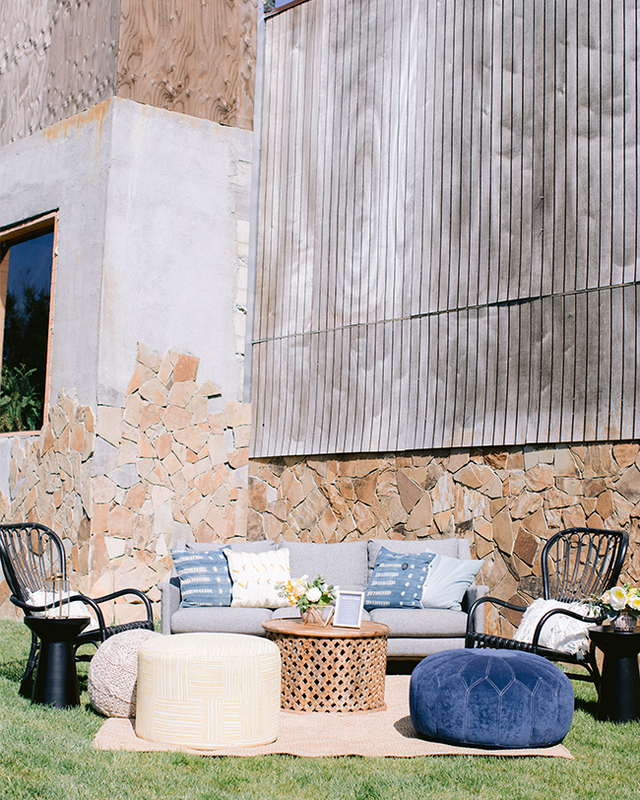 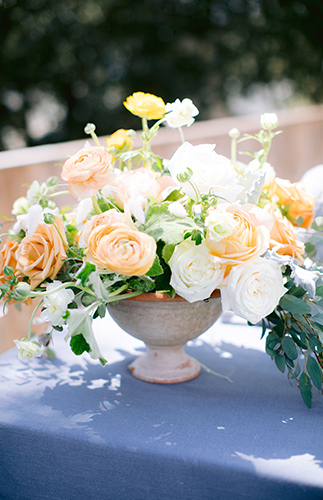 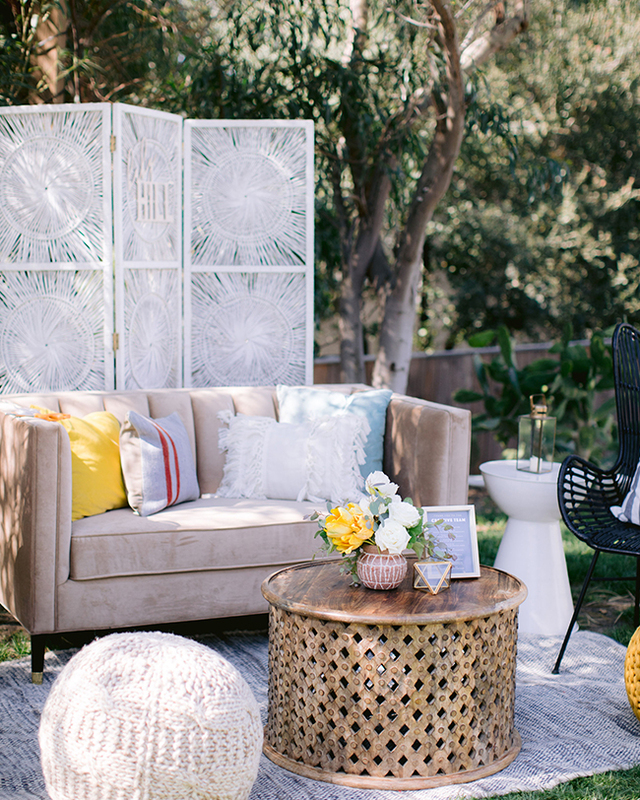 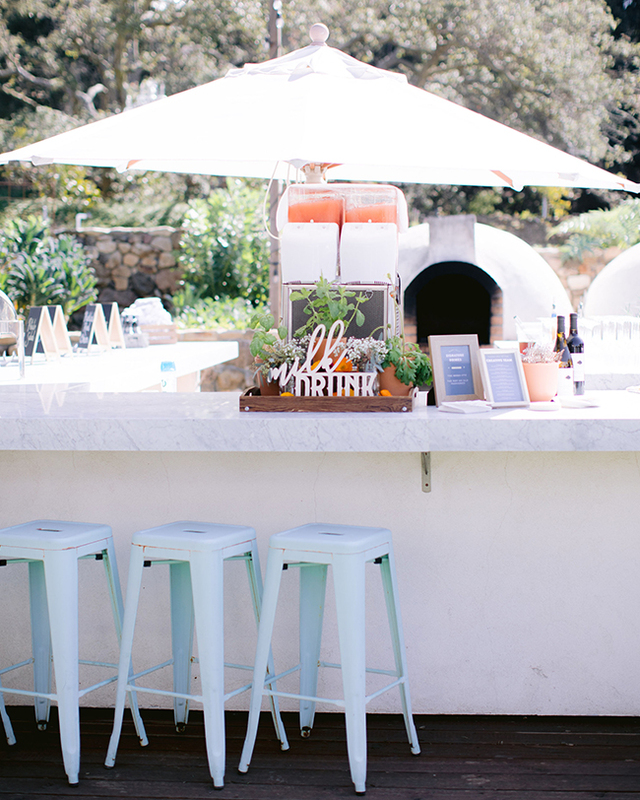 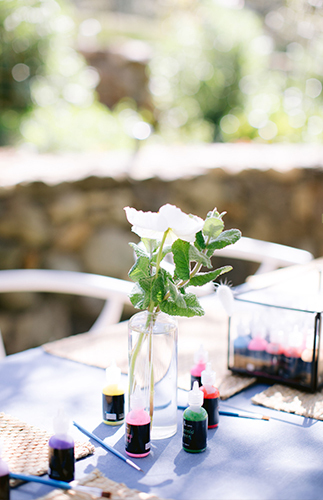 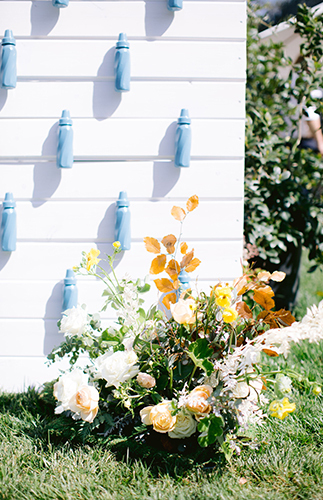 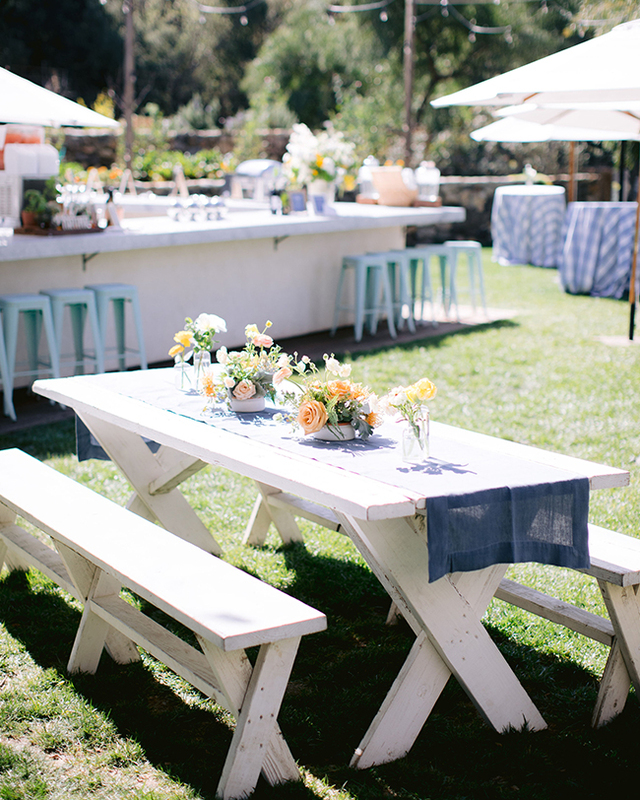 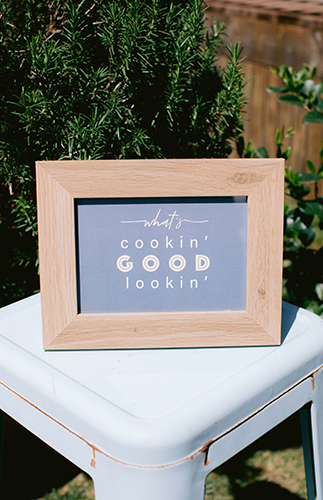 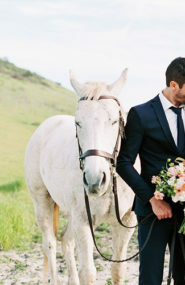 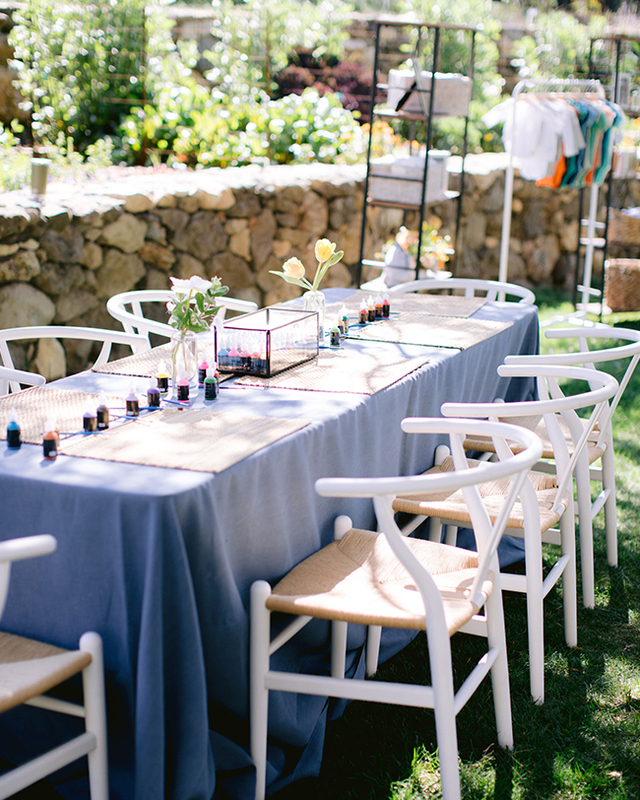 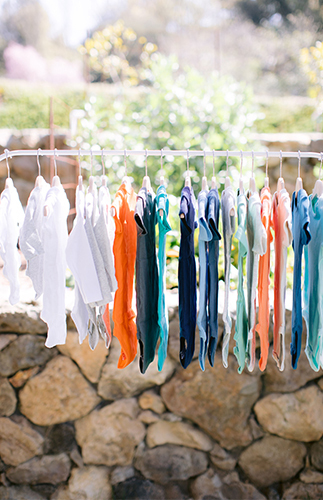 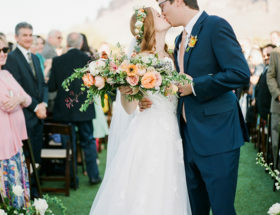 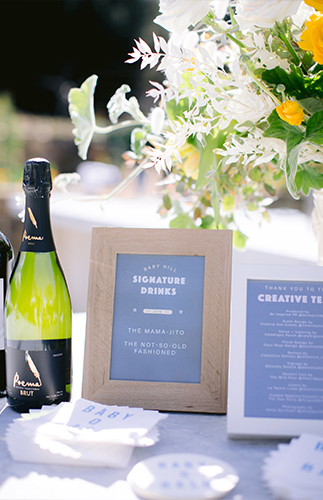 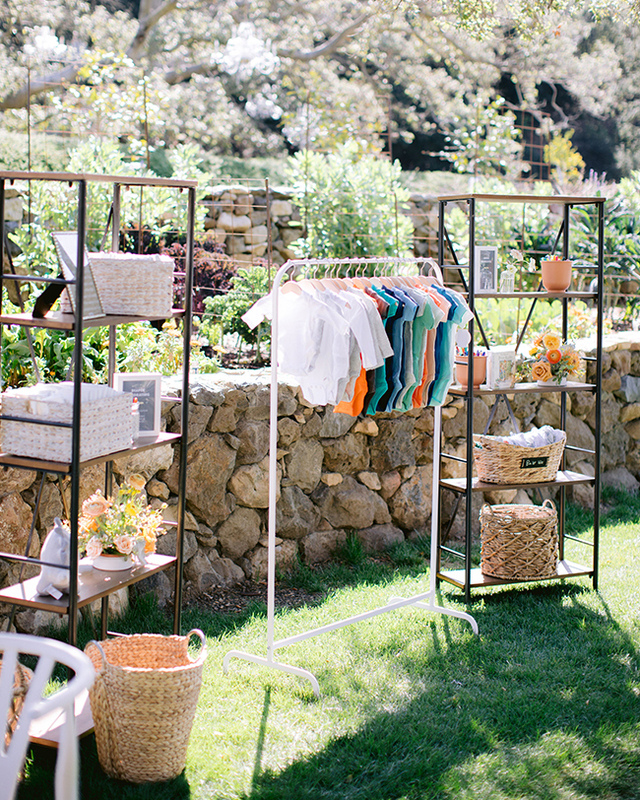 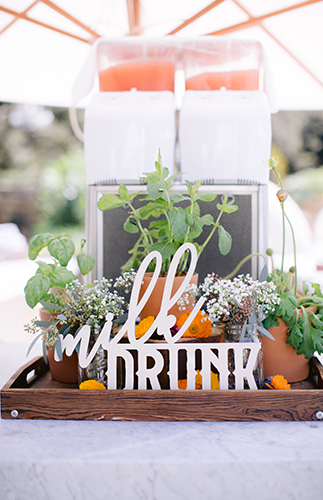 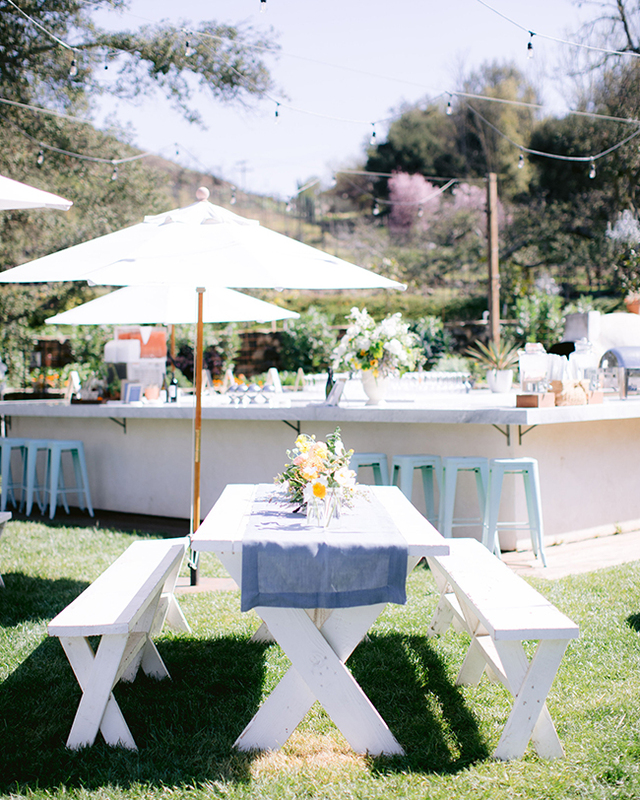 This added warmth and fit the vibe of the outdoor space at Calamigos Guest Ranch perfectly. 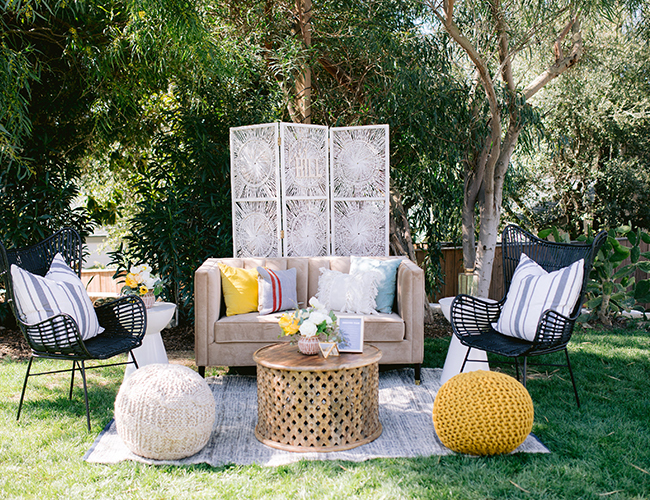 Victoria Holland of Victoria Ann Events continued the vision with lounges from Collective Rentals that were modern and fresh to give the shower a chic contemporary feel. 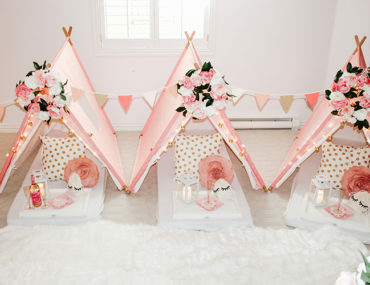 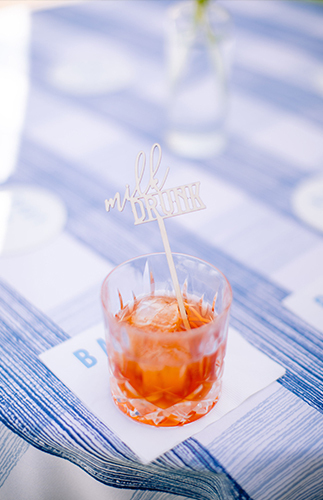 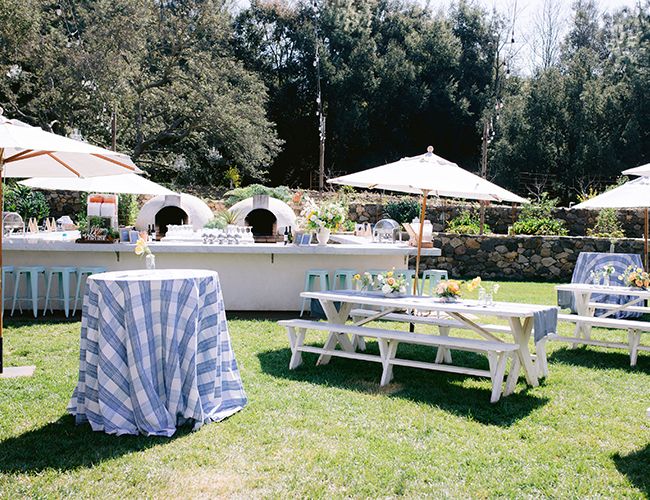 To bring home the BBQ theme, she incorporated gingham table cloths, potted florals, BBQ inspired fonts for the signage, picnic style seating, and BBQ fare, of course! 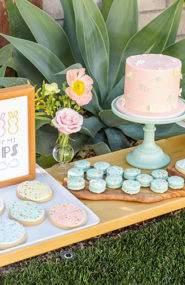 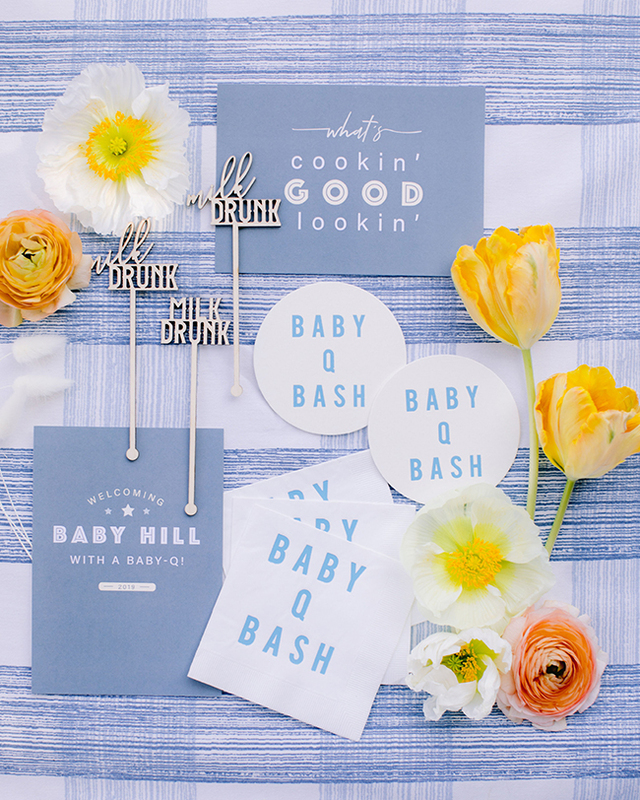 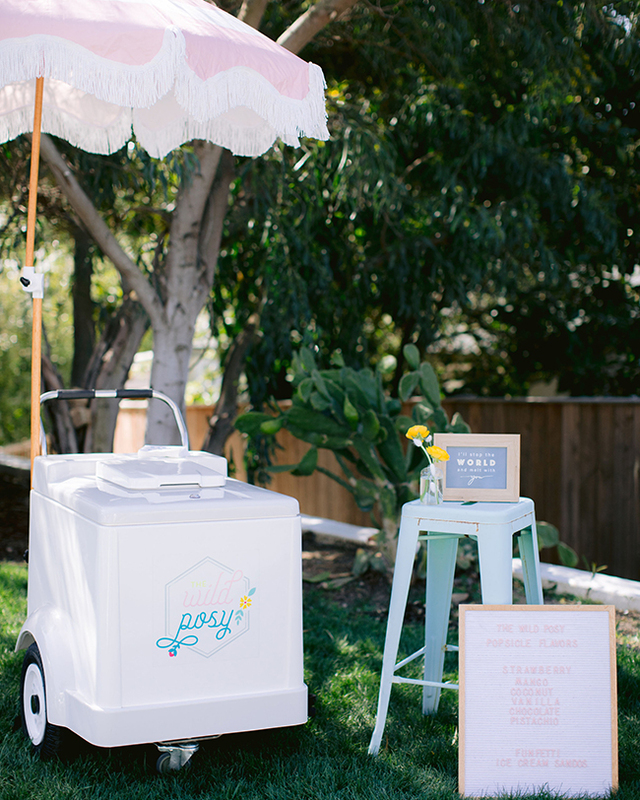 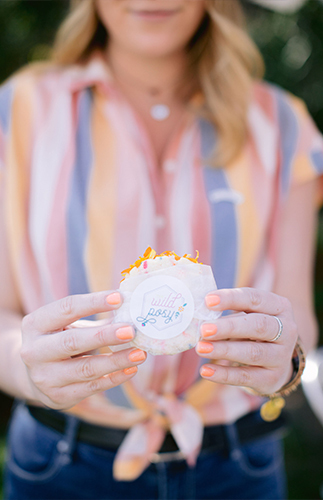 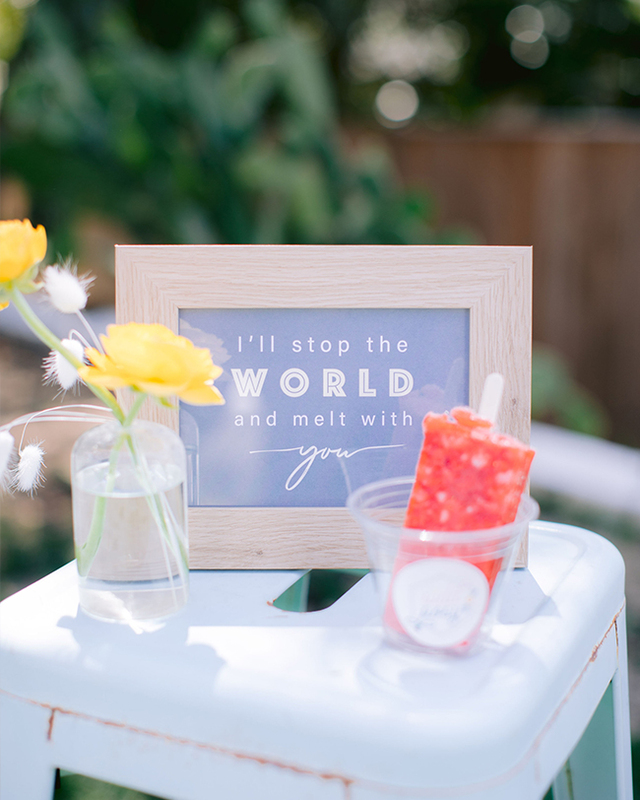 And what’s a baby shower without a photo booth?! 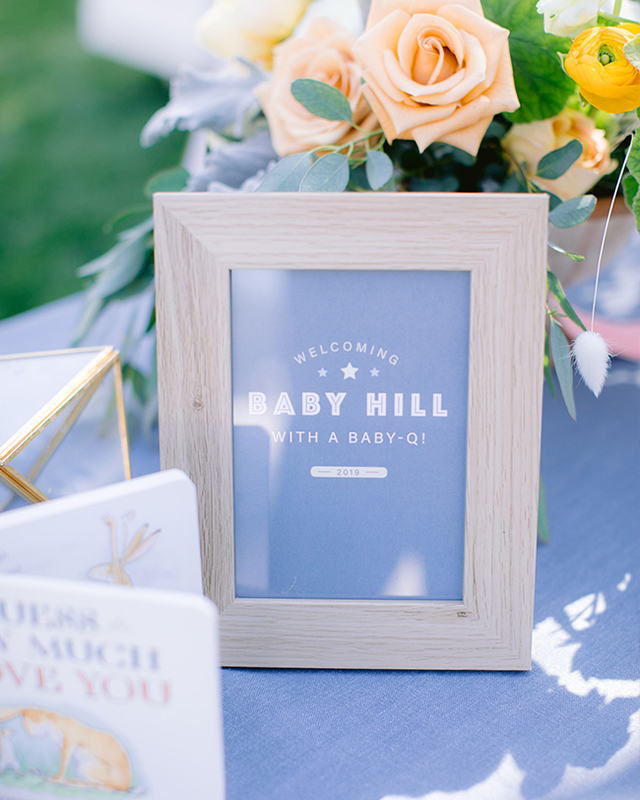 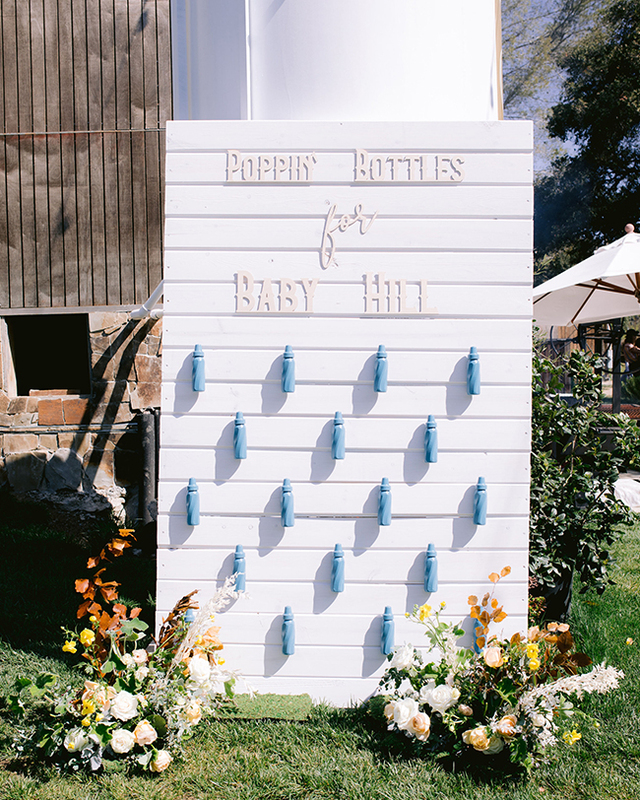 Custom signage from Delovely Details said “Poppin’ Bottles for Baby Hill” on a shiplap backdrop adorned with blue baby bottles. 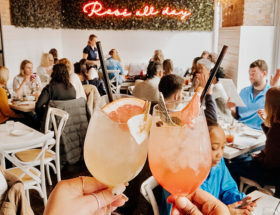 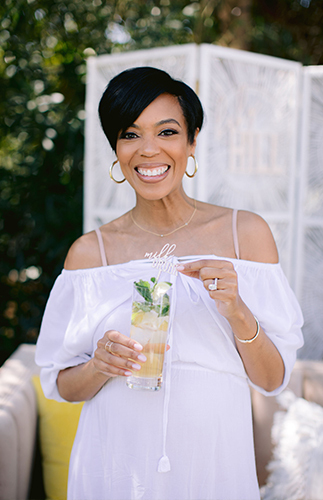 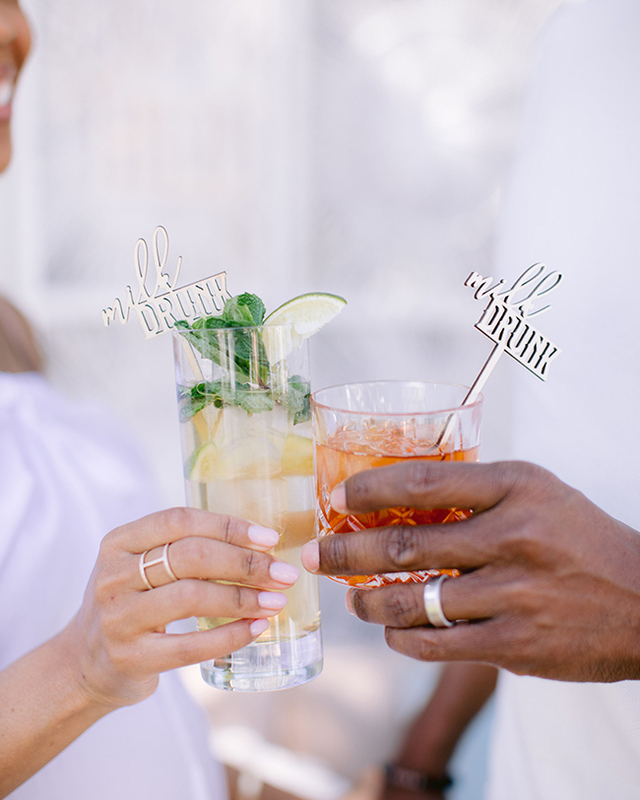 Guests also got to enjoy a full bar with signature drink options including a “Mama-Jito” and “Not-So-Old-Fashioned” which were playful takes on Dule & Jazmyn‘s favorite drinks!